Wall clearance (ADA compliant): 1.5"
Add a touch of elegance and just the right amount of support with the Accent Ring. 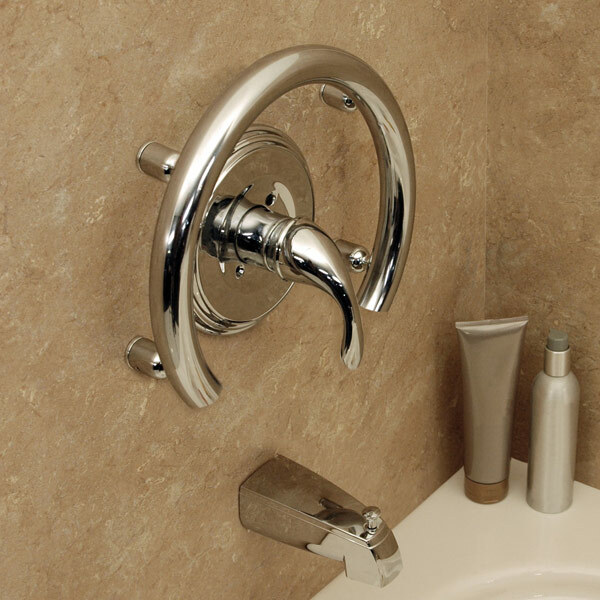 A unique and incredibly solid handrail designed to contour circular shower fixtures and provide support when accessing the controls. - Wall clearance (ADA compliant): 1.5"